Read a web special Against National Poetry Month as Such. In My Way, (in)famous language poet and critic Charles Bernstein deploys a wide variety of interlinked forms—speeches and poems, interviews and essays—to explore the place of poetry in American culture and in the university. Sometimes comic, sometimes dark, Bernstein’s writing is irreverent but always relevant, "not structurally challenged, but structurally challenging." Addressing many interrelated issues, Bernstein moves from the role of the public intellectual to the poetics of scholarly prose, from vernacular modernism to idiosyncratic postmodernism, from identity politics to the resurgence of the aesthetic, from cultural studies to poetry as a performance art, from the small press movement to the Web. Along the way he provides "close listening" to such poets as Charles Reznikoff, Laura Riding, Susan Howe, Ezra Pound, Allen Ginsberg, and Gertrude Stein, as well as a fresh perspective on L=A=N=G=U=A=G=E, the magazine he coedited that became a fulcrum for a new wave of North American writing. In his passionate defense of an activist, innovative poetry, Bernstein never departs from the culturally engaged, linguistically complex, yet often very funny writing that has characterized his unique approach to poetry for over twenty years. 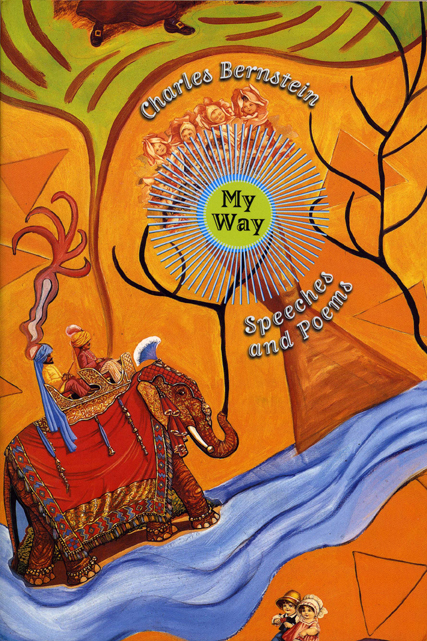 Offering some of his most daring work yet—essays in poetic lines, prose with poetic motifs, interviews miming speech, speeches veering into song—Charles Bernstein’s My Way illuminates the newest developments in contemporary poetry with its own contributions to them.